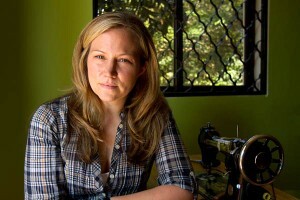 Maggie is the founder of the Kopila Valley Children’s Home in Surket, Nepal, which aims to sustain and improve the quality of life and the future for children of Nepal by creating a self-sustainable living community for destitute children that provides their most basic needs. She also is the founder of the Blink Now Foundation, which aims to spread the idea to young people in the U.S. and abroad that in the blink of an eye, we can all make a difference. Gina Low is the founder and director of APECA Peru, a nonprofit that aims to develop sustainable methods of health care, education, and conservation for remote Peruvian villages along the Amazon river. 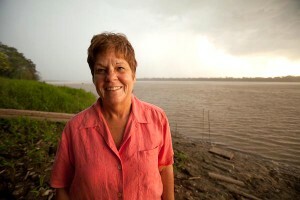 Gina established a floating health clinic that delivers medical services and first-aid supplies to the river villages, and she leads multiple community projects to help villagers meet their basic needs, while simultaneously protecting their environment. 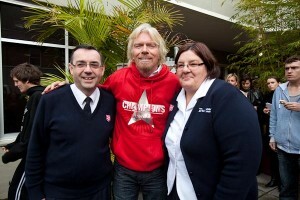 Paul Moulds is the Captain of the Oasis Youth Support Network, a Salvation Army youth refuge that provides a variety of outreach, education and accommodation services to the thousands of homeless youth living on the streets of Sydney, Australia. Captain Moulds has dedicated his life to helping young people, and is a determined advocate for creating a more just Australian society, where marginalized young people have access to the support and services they need. 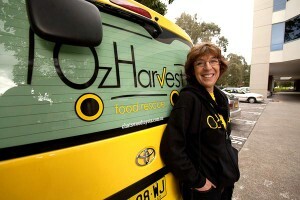 Ronni Kahn is the founding director of OzHarvest, a non-denominational charity that rescues excess food which would otherwise be discarded and re-distributes it to charities supporting the vulnerable populations in Sydney and Canberra, Australia. Ronni started OzHarvest in an effort to change the waste cycle that is a natural outcome of the hospitality industry, while simultaneously supporting local charities and providing food to those in need. Maureen Taylor and Marian Kramer have been volunteering for MWRO (Michigan Welfare Rights Organization) in Detroit, Michigan for over 25 years. 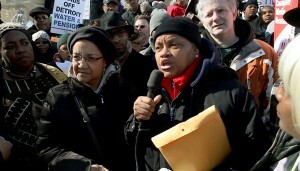 They fight for the rights of the disadvantaged in inner city Detroit, advocating for those who rarely have a voice in today’s U.S. society. Through organizing welfare recipients and low-income workers, they strive to eliminate poverty in this country and battle for the economic and human rights of millions of disenfranchised Americans. is the founder of Wrap Up Africa, whose mission is to provide hope, empowerment and support to Ugandan families struggling with cancer. Wrap Up Africa teaches patients and family members tailoring skills and provides a sustainable market for their products, so that they may become self-sufficient in meeting their needs, such as food, transportation, medical expenses and lodging. Dr. David Mar Naw is the founder of Where There Is Not a Doctor, a volunteer run, non-profit medical social organization that focuses on helping the poor, underprivileged and marginalized hill-tribe communities of Northern Thailand. Dr. Marnaw personally travels between hill-tribe villages, delivering free medical services and coordinating numerous community development projects. Viola Majewska runs Galopek, a hippotherapy and rehabilitation center for disabled children in Warsaw, Poland, a place where hippotherapy is still poorly known and accepted. After the tragic death of her daughter, who was born severely disabled, Viola has dedicated her life to helping other disabled children and their families by starting the center, where she gives horseback-riding lessons, organizes integration events for the children and families, and helps children from under-privileged families finance their rehabilitation sessions. 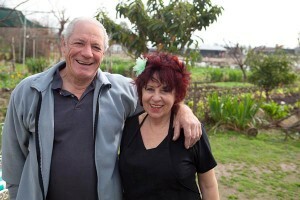 Susana and Hugo, husband and wife, run la Fundación Camino Abierto in the rural town of Carlos Keen, outside of Buenos Aires, Argentina. A completely self-sufficient farm with lodging options and a top-notch restaurant, it is also a home for adolescent boys that are orphans or have been abandoned or mistreated by their parents. Susana and Hugo provide the boys with many cultural and educational programs, continually exposing them to new opportunities and giving them the freedom to choose their own path in life. Yulia Simonova works with Perspektiva, the Regional Society of Disabled People in Moscow, which aims to promote independence and an improved quality of life for disabled people in the Russian community. Yulia is the manager of inclusive education projects, and conducts trainings for teachers, parents, and children with disabilities. María Eugenia Cuyás is a clinical psychologist and tango dancer from Buenos Aires, Argentina, who has combined her two passions through the practice of tango therapy, a type of psychological and physical therapy that utilizes the teaching of tango to help people who are suffering from various mental disorders, such as Alzheimers, Parkinson’s Disease, and depression. 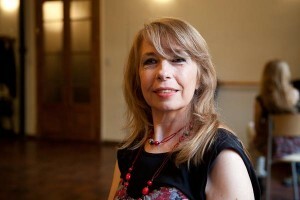 María coordinates and teaches tango therapy workshops, in which she works with mentally disabled patients, as well as instructs other clinical professionals on how to utilize the method. i’d love to meet all of them, give them a hug and a big “thumbs up”…God is with you all no doubt , so fear not, shy away not , your actions will result in limitless rewards..joe s.